Welcome to Brogden Law Firm, LLC – Talk to Attorneys with over five (5) and a half (1/2) – or 57 years, of combined bench and jury trial experiencein Alabama! BLF trial lawyers represent individuals, corporate and municipal clients in a wide variety of criminal and civil matters in Alabama, but most often accept cases in the “Wiregrass” area located in South-East Alabama. The Wiregrwas area consists of 7 local counties – 1) Dale, 2) Geneva, 3) Coffee, 4) Pike, 5) Houston, 6) Henry, and 7) Barbour Counties). The trial lawyers at Brogden Law Firm, LLC often “team up” to represent and defend clients charged with criminal charges or in high profile/asset divorces, violent or white collar criminal jury trials as well as those involved in complex civil matters/jury trials. The attorneys are licensed to practice in all Alabama Federal court(s) handling both criminal defense and civil matters, including Bankruptcy petitions (Chapter 7 and 13). Brogden Law Firm, LLC is also well versed in handling Criminal and Civil appeals, including appeals to the Supreme Court of Alabama (i.e, a “writ of certiorari”). The Attorneys at the BLF are also specially trained as “registered” Mediators in Alabama. Specifically, the Brogdens are registered on the Alabama state court Mediation Roster for general Civil mediation, Domestic relations (“DR”) and Domestic Violence (“DV”) cases. They are regularly asked by attorneys and Judges to mediate complex contested cases. Please click on the “areas of practice” tab above for a more detailed outline of the civil and criminal defense matters the BLF handles. To schedule a confidential consultation with any one of the attorneys, please call (334) 774-5171, or send an e-mail to [email protected] with your name, contact information, location and specific inquiry. Please be advised the support staff is legally prohibited from giving legal advice or quoting fees/retainers for any reason. Every case is different so there is not a set fee/retainer for any type of case so all prospective clients must meet/speak with an attorney in person (or in special circumstances over a pre-planned telephone consult) so they can go over all the facts, apply the appropriate law to said facts and quote an appropriate fee or retainer. Prospective clients may quickly e-mail the BLF using the “sidebar” e-mail box located the immediate right side, or you may contact us and find more information with the tabs above or by clicking the ‘Contact Us” tab located at the top right of this page. Brogden Law Firm, LLC is regarded as one of the most experienced and premier trial law firms in South East Alabama, especially in two (2) main areas. First, the firm has a wealth of trial experience in the Defense of all Misdemeanor and Felony Criminal charges before a Judge or 12 jurors. Next, the BLF is well known for their vast experience in handling all (2) DIVORCES, FAMILY LAW and MODIFICATIONS for all civilian and military clients. The firm handles cases most commonly in seven (7) counties: 1) Dale, 2) Geneva, 3) Coffee, 4) Pike, 5) Houston, 6) Henry and 7) Barbour counties. 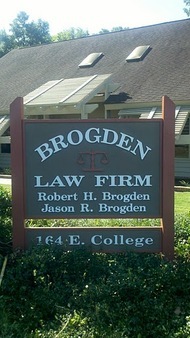 Bob and Jason Brogden are well known for trying cases together as a”father and son legal team” in the: Defense of serious criminal charges, especially self-defense matters involving high-profile and complex charges which require expert testimony and lengthy jury trials. Depending on the size of the divorce, the attorneys will team up in a domestic bench trial as well to achieve the best ruling for a client possible. The Firm is especially well versed in all types of divorces or other family law cases involving the complexities or equitably dividing detailed business or high marital/personal assets as well as those cases where spouses have lengthy military retirement claims/calculation(s), high profile divorces, accurate child support orders, visitation, spousal support issues, modification of final judgments and all appeals. * Disclaimer: NO representation is being made that the quality of the legal services to be performed is greater than the quality of legal services performed by other lawyers. August 2017 – (APPEALS – AFFIRMED) The BLF, LLC submitted two appellate briefs to the Alabama Court of Civil Appeals and the first came back in Favor of the Brogden Law Firm and we currently await a ruling on the second case. * Update, BLF was successful! A winning ruling was issued by the Civil Court of Appeals (the Judge’s ruling in favor of the BLF client was AFFIRMED!). November 2016 (ASSAULT FELONY REDUCED TO MERE YOUTHFUL OFFENDER MISDEMEANOR) – The Brogden Law Firm represented a local Man, “Z.G.”, who indicted by a grand jury for Assault in the second degree (a Class C Felony) in Coffee County Circuit Court stemming from an alleged shooting wherein the victim was allegedly shot twice by our client. Jason R. Brogden and Josh Holcomb handled this matter together where they filed a motion for “Pre-trial Immunity” and conducted a hearing on self-defense, which is a newly enacted mechanism in our self-defense statute which allows for such a pre-trial hearings before Defendants have to go through a lengthy jury trial. Our client asserted he was defending his person, was in imminent fear of his life and his girlfriend at the time. After a conducted lengthy and very productive immunity hearing before Circuit Judge, the Hon. Judge Thomas Head, the District Attorney’s office contacted Mr. Brogden the very next day and offered to reduce the felony charge to a mere MISDEMEANOR (Assault 3rd) and grant the young man “YO” or Youthful offender status (so the file was sealed) with no fine, no court cost, no probation and a short suspended sentence so that he never spent more than an hour in jail when he was indicted and booked in and bonded right out. We believe the client was very satisfied with the outcome and the long hours our firm worked on his case, weekends included. December 2014 (FELONIES DISMISSED! )- A Local Doctor has retained the attorneys of the Brogden Law Firm, LLC to defend 3 counts of sexual abuse levied against him by the District Attorney’s office of the 33rd judicial circuit. The Doctor/client has maintained his innocence since day 1, as there is absolutely no forensic or DNA evidence involved in this matter. The client and the attorneys at the BLF, LLC eagerly forward to their day in court. GENEVA COUNTY UPDATE – 2016 ALL INDICTMENTS LEVIED AGAINST THE BELOW DOCTOR HAVE BEEN DISMISSED WITH PREJUDICE! The BLF successfully vindicated their client, the Geneva Doctor, of ALL charges and he is still practicing medicine (and never stopped as the DEA nor the hospitals believed the allegations). Another successful case for the Brogden Law Firm, LLC and its’ attorneys! September 2014 (FELONIES REDUCED TO MISDEMEANOR!) The Brogden Law Firm has been retained to defend a Geneva County, Al Man charged with “Possessing Weapons Of Mass Destruction”. The client maintains his innocence and looks forward to his day in trial as we believe the true evidence will reveal itself. UPDATE – *** 2016 UPDATE ALL CHARGES HAVE BEEN REDUCED TO A SIMPLE MISDEMEANOR CHARGE WHEREIN THE BLF, LLC CLIENT PAID A SMALL FINE, WAS NOT ORDERED TO SPEND ONE DAY IN JAIL/PRISON AND HE HAS GONE ON WITH HIS LIFE AFTER THE ABI/FBI CLAIMED HE POSSESSED “WEAPONS OF MASS DESTRUCTION”, WHICH TURNED OUT TO BE A MISDEMEANOR CASE. August 20th, 2014 – The trial attorneys at the Brogden Law Firm, LLC have been retained to represent and defend at trial a local citizen who has been accused of stealing thousands of dollars from her former employer, a local dentist. See below for the most recent news article from the Dothan Eagle. The Brogden Law Firm’s client has and continues to maintain her innocence. She is presumed innocent and will vigorously fight the charges levied against her. UPDATE: ALL CHARGES REDUCED, MERE PROBATION REQUIRED. October 2011 – STATE v. WINDHAM (MANSLAUGHTER CHARGES DISMISSED!) Mr. Brogden’s client was indicted FOR MANSLAUGHTER and subsequently ACQUITTED! The Circuit Court of Geneva County, Alabama Kenneth W. Quattlebaum grants Jason R. Brogden, Esq.’s oral “motion for a judgment of acquittal” (i.e., Directed Verdict) after two full (2) days of testimony and evidence during the ‘Wes Windham manslaughter trial’. Meaning, Jason argued and subsequently convinced the trial Judge to simply dismiss ALL charges due to lack of evidence After two (2) days of testimony and evidence was put before the jury the Prosecutors! Jason R. Brogden’s client, Wes Windham, found NOT GUILTY of manslaughter indictment and NOT GUILTY of the lesser included offense of criminally negligent homicide. Another prime example of Jason R. Brogden and Robert H. Brogden, Esq. defending those charged with a violent crime, but during or after the trial their clients have been found to have reasonably defended themselves in self-defense! September 2011 – STATE v. COOK (NOT GUILTY OF MURDER – DALE COUNTY JURY) Jason R. Brogden, Esq. and Robert H. Brogden, Esq. successfully defended a 4 1.5 day jury trial where their client was charged with MURDER, Joshua Cook. September 16, 2010). Mr. Brogden’s client faced a class A felony conviction carrying the possibility of LIFE in prison, but was acquitted (NOT GUILTY) by a jury of 12 of his peers after 4 1/2 days of grueling testimony, cross-examination and evidence presented in the Circuit Court of Dale County, Alabama. Mr. Cook was charged with wrongfully discharging his firearm in the front yard of his home killing another man, but as he and his Attorneys consistently contended he acted in self-defense of himself and his 3-year-old son. Evidence revealed the alleged victim drove to his home, was highly intoxicates and aggressively approached Mr. Cook as he attempted to take his son out of his car seat, and threatened the client with physical harm. The Dale County Jury found that Mr. Cook acted in self-defense and was justified in using deadly physical force to defend himself. NOT GUILTY! *** DISCLAIMER: These recoveries/results as stated above and testimonials are not an indication of future results in all cases handled by our law firm. Every criminal and civil case is different, and regardless of what friends, family, or other individuals may say about what a case is worth or the outcome of a civil or criminal matter, each case must be evaluated on its own facts and circumstances as they apply to the law. The valuation of a case depends on the facts, the alleged injuries, the jurisdiction, the venue, the witnesses, the parties, and the testimony, among other factors. Furthermore, NO representation is being made that the quality of the legal services to be performed is greater than the quality of legal services performed by other lawyers. Click here for the Brogden Law Firm Facebook Page! 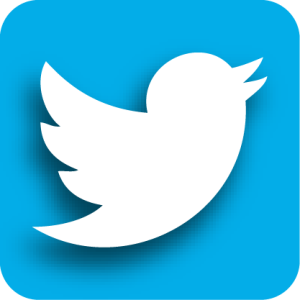 Follow us on Twitter: @BrogdenLawFirm !